HARLOW, England, Jan. 24, 2019 /PRNewswire/ -- Haag-Streit Academy will offer a free copy of the 'Visual Field Digest - A guide to perimetry and the Octopus perimeter' to all delegates who attend the upcoming 'Gold Standard' Perimetry Course. The course is due to be held at the Royal College of Ophthalmologists on Tuesday 26th February 2019. 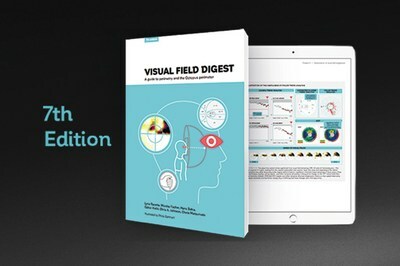 Written by six experts in the field of perimetry, the digest is an invaluable resource for clinicians, residents, students, researchers and visual field examiners alike. The book received a lot of praise from students and teaching staff, for being well-structured and easy to understand, as well as from specialists, due to its accuracy and in-depth information. The aim of the 'Gold Standard' Perimetry Course is to provide attendees with expert advice and a detailed overview of how to get the most out of their perimeter. The course will also include practical, hands-on workshops along with lectures from guest speakers, including Dr Fiona Rowe, Professor in Orthoptics and Health Services Research at the University of Liverpool. Delegates will be able to claim 6 CPD points for their attendance on the day. The price for the course is just £100 (+VAT), which will include lunch and refreshments. Limited spaces on the Gold-Standard Perimetry course are available, so book now to avoid disappointment. For further information, or to book a place, please visit https://hsuk.co/goldstandardperimetry.